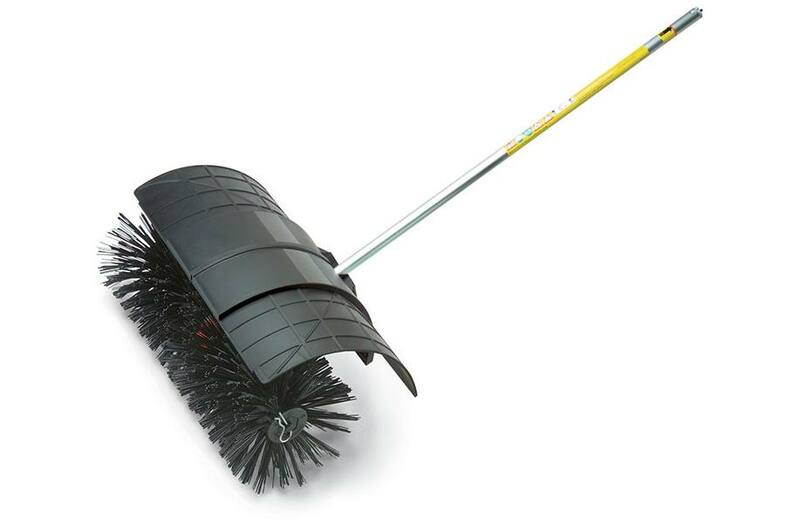 This STIHL KombiSystem bristle brush attachment makes quick work of sweeping jobs on walkways and other paved surfaces. The KB-KM bristle brush attachment for the STIHL KombiMotor features durable nylon bristles, and a wide sweeping surface—one pass covers an area up to 24" wide. Part of the STIHL KombiSystem, this attachment makes quick work of big sweeping jobs, from clearing leaves on walkways and driveways, to fluffing artificial turf. NOTE: Do not use on grass lawns.